Huawei has launched its commercial 5G CPE Pro, which is powered by its Balong 5000 5G multi-mode chipset. 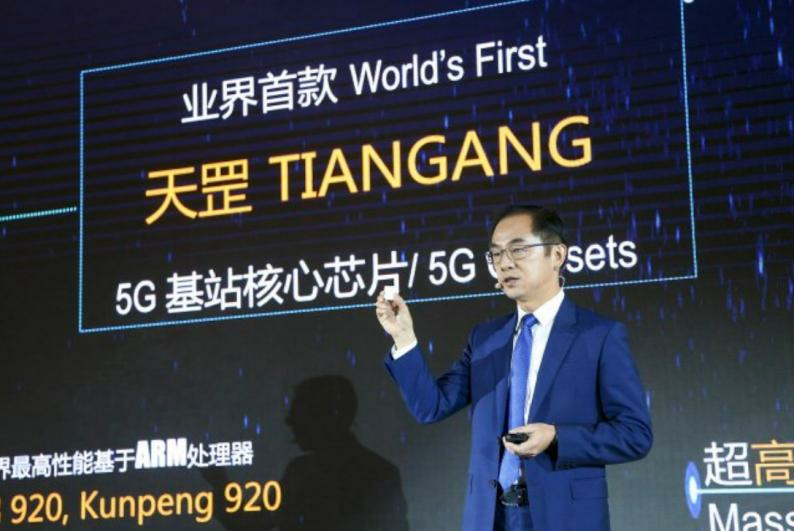 The company's Balong 5000 chip supports a broad range of 5G products, including smartphones, home broadband devices, vehicle-mounted hardware, and 5G modules. "The Balong 5000 will open up a whole new world to consumers," said the CEO of Huawei's Consumer Business Group, Richard Yu. "Powered by the Balong 5000, the Huawei 5G CPE Pro enables consumers to access networks more freely and enjoy an incredibly fast connected experience." The Balong 5000 chipset supports 2G, 3G, 4G, and 5G technologies and is the first commercial chipset to perform to industry benchmarks for peak 5G download speeds. The chipset can achieve download speeds of up to 6.5Gbps using mmWave spectrum – 10-times faster than current 4G LTE speeds. Huawei's Balong 5000 chip supports both standalone and non-standalone 5G network architectures. Huawei's 5G CPE Pro leverages this chip to reach peak speeds of up to 4.8Gbps. The company began developing this 5G CPE in 2009, and it now has over 5,700 engineers dedicated to 5G research and development. This product is the first commercial 5G CPE to reach the market, making Huawei the industry's only vendor able to provide end-to-end 5G systems. Huawei also launched the world's first 5G base station core chip, which it has named the Huawei Tiangang. This chip aims to support large-scale 5G deployment worldwide, offering improved computing capacity and efficiency compared to previous-generation hardware. The company said that 5G base stations could be deployed in half the time it took to install a 4G base station, as the chip's active antenna units allow for base stations which are 50% smaller, 23% lighter, and consume 21% less power.